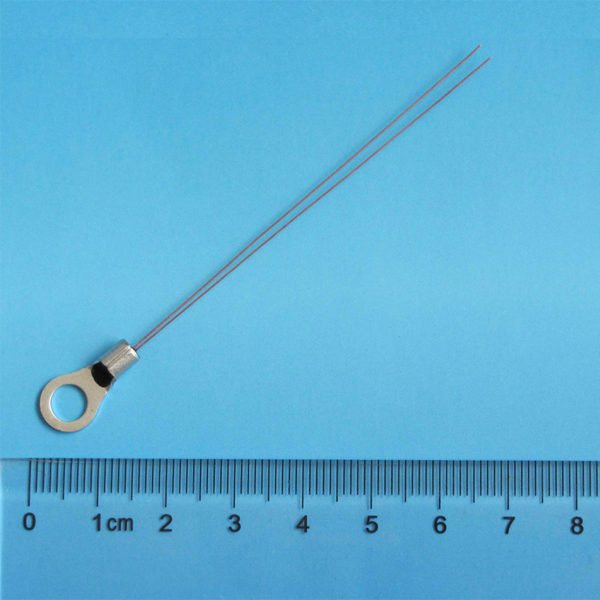 ATH1R38M0.1_200CL5R3 – Analog Technologies, Inc. 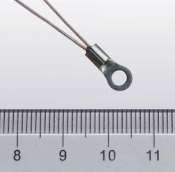 The ATH1R38M0.1%200CL5R3 is a thermistor assembly with a glass encapsulated thermistor packaged in an extra compact ring lug. 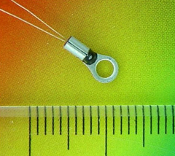 ATH1R38M0.1%200CL5R3 has bare leads coated with copper. 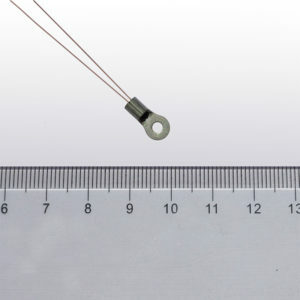 This thermistor provides high accuracy, long term stability, high reliability and wide temperature range. The max. resistance error is 0.1% when the object temperature is reached. The most accurate temperature error is ±0.2°C when the object resistance is reached.